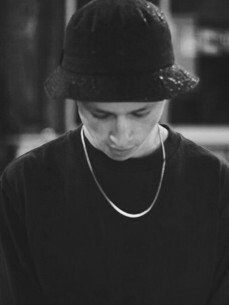 Sam Gellaitry is a 19 year old producer from Stirling, Scotland. He began working on creating tracks when he was 12 after hearing his older brother and friends creating sounds using Acid Pro. Sam continued to experiment with making music on his computer at home in Stirling and decided to leave school at 16 in order to focus more intently on it. This decision was supported by his family who recognised his talent, enthusiasm and commitment to composing his own music. Sam attended a music course at a local college for a short time and there gained more insight into the music business and how it works. Sam has been working exclusively on creating music and playing shows since then. He has toured widely within Europe performing throughout Europe and in the US and Canada. Sam has wide ranging tastes in music and is influenced by a variety of different genres. He has created a range of different tracks with his signature sound embedded in each and has over 100,000 followers on Soundcloud.